Without a team of knowledgeable and hard-working staff members it would be impossible to provide clients with the top quality services they deserve. We are committed to employing and promoting an enthusiastic staff so that our clients and service providers can really enjoy dealing with our firm. Our entire team, including marketing staff, are salary based and are not commission driven. They do not need to “sell to survive” and know that putting a client’s interests first will build the relationships needed for success in their own careers. John Wallace has been our Chairman since the business started in 1996. He qualified as an attorney in 1980 and specialised in Tax Law, Trusts and Estate Planning. John served his articles of clerkship at Venn Nemeth & Hart in Pietermaritzburg and went on to be appointed to manage the law practice for a period of close to 20 years. He retired as Chairman of that firm in 2006 and as CEO in 2007. He remains an Executive Consultant to their Board of Directors. John has always had a keen interest in investments and studied for his qualifications in International Capital Markets through the London Securities Institute. He is a member of the South African Institute of Financial Markets. 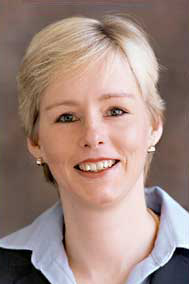 Stacey Barron (b. Lancaster) joined our team in September 2010. After completing her BCom Law degree through Unisa, Stacey enrolled for the Postgraduate Diploma in Financial Planning through the University of the Free State. She completed this diploma at the end of 2012 and has qualified as a Certified Financial Planner through the Financial Planning Institute [FPI] of which she is a member. She has also recently completed her Key Individual Exam and will continue gaining practical experience under our mentorship program. Stacey was appointed to the Board of Directors of Finlaw on 1 January 2016. Stacey gained valuable accounting experience while working for Sanjay Harrilall Consulting from 2008 to 2010. She has been a member of the Senior Ladies Country Districts Hockey Team since leaving school in 2007. Jane Peattie joined in January 2015. After obtaining her Diploma in Travel and Tourism, she spent 5 years in the travel industry as a senior consultant and in that period worked in the UK for 8 months. Jane took a break for a few years and then owned and managed her own business, an upmarket children’s clothing shop, maternity wear, nursery and related decor called Crackajacks. She sold the business in 2007 so she could spend more time with her young children and continued to work from home. Jane has joined us to bolster our marketing, client relationship and administration services. While she may be new to the Financial Services sector – she has a wealth of experience in these areas. Nolan Wallace “came aboard” in January 2015. Nolan, a Kearsney College Old Boy, spent 5 years travelling the globe working on mega yachts owned by the rich and famous. He has an enviable list of exotic destinations in his travel log. On his return he worked as a Videographer and Film Editor for Dark Continent Video Productions. Nolan’s excellent computing aptitude and arithmetic acumen are well suited to the studies he undertook before his travels and to which he has now returned. Nolan will be piloting a revamp of our bespoke client database systems – a critical part of our business strategy – while he completes his Degree in Business Information Systems and Psychology. Kirsten McCullough first joined us temporarily in June 2014, left to return to teaching and joins us again full time in January 2018. Kirsten began her working career in the Health and Beauty industry, qualified as a therapist, then spent time as an Au Pair in the UK before returning to complete her B.Ed degree through UNISA in 2013. She has served at a number of Pre-primary and Primary schools in Pietermaritzburg. She was introduced to the world of finance at Rob Mitchell Brokers, got an even bigger taste with us in 2014 and, following the birth of her first child, decided to join Finlaw full-time. She will take over most of the duties formerly handled by Candice Van Dongen. She has an outgoing personality, strong administration skills and a disciplined, methodical approach to her work. Simon Francis has been on our Finlaw Board since May 2000. He qualified as an attorney in 1976 and specialised in Commercial Law and Estate Planning. Simon was a partner of Tomlinson Francis & Co, a firm founded by his late father, Peter Francis. Simon joined Venn Nemeth & Hart in February 1989 as a partner and was appointed to the Board of Directors of that firm when it incorporated in May 1994. He retired as a Director in 2007 and remains an Executive Consultant to their Board of Directors. Simon also served for many years on the board of The Witness newspaper group. He is a regular rider in multi-stage MTB cycling events, having retired from many years of Comrades and other ultra-distance marathon runs. Redvers Lee was appointed to our board in May 2007. Like John Wallace, he did his articles of clerkship at Venn Nemeth & Hart before being admitted as an attorney and conveyancer in 1985. He is an Equity Director at the law firm, has served as its CEO and is currently the Director of Finance. Redvers is a specialist conveyancer with substantial experience in transfers, bonds, servitudes and property developments. He was admitted as a Notary Public in the High Court in 2000. He has served on a number of Boards [including as Chairman of The Wykeham Collegiate and local Legal Circle] and is currently a member of the Deeds Office Conveyancers Forum. We recognise and appreciate the contributions made by all former members of our team since the formation of our business in 1996. In doing so we thank in particular the key staff members who actively engaged with our clients and helped to build upon the values & service standards we live by. Candice van Dongen joined our team in May 2009 and left to live in Australia at the end of October 2017. She matriculated in 2003 and went on to complete a Diploma in Public Relations through Varsity College. . Candice began her full time working career in 2006, as part of the admin team for Commercial Finance Africa, which company later merged with Praesidium Finance in 2007. While with us she completed her B.Ed degree through UNISA. She was offered a teaching post in Australia – her “dream” job – so we could not stand in her way. Candice will be sorely missed by staff and clients – she played a vital role in looking after our clients and indeed our own internal office accounts and database systems. We wish her well for the future. Rowan Allpass joined our team in August 2010 and resigned three years later in August 2013 to further his career elsewhere in the financial services industry. He began his financial services career in 1988 with Standard Bank, then Wesbank, Sage Financial and finally Momentum Broker Division before joining Finlaw. In between Rowan travelled extensively overseas, managed a family business for a while and put his Marketing Diploma to good use for the Damelin Education Group in promoting the Institute of Bankers courses. We wish him all the best for the future and express our sincere thanks for the contribution he has made to Finlaw and to the well-being of our clients while he journeyed with us. Sandra D’Arcy joined our team in January 2000 and left with her husband, Ian, to live in the United Kingdom at the end of June 2010. Sandy was more than simply an employee – she was an integral part of the success of our firm through her leadership as an Executive Director and the example she set for the team with her incredible work ethic. In the realm of “Service Excellence” she was a tenacious leader dedicated to ensuring that matters were taken to their conclusion as quickly and efficiently as possible. Guided by her BCom Economics degree, Sandy built the research model on markets and products which we still follow in creating investment strategies for clients. Ian D’Arcy was one of our founder members who joined the team in early 1997 a few months after we launched the business. Ian and John Wallace studied together through the Securities Institute of London to obtain their International Capital Markets Qualifications [ICMQ]. He was appointed to the Board of Directors in 2000 and played a vital role in laying the foundation of the business we enjoy today. Ian left in 2004 to start his own business. He and his wife Sandy left South Africa in 2010 to live in the United Kingdom. Ian recently joined the financial planning team of the law firm, Hart Brown Solicitors and currently serves as the Vice-President of the Godalming & District Chamber of Commerce.